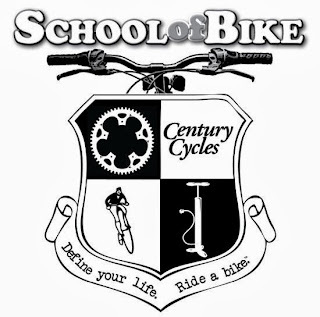 Century Cycles Blog: School Of Bike ... For those about to bike! All students receive a 15% discount off regularly-priced parts, clothing and accessories good at the time of the class. Students attending 4 or more classes receive a diploma coupon good for 25% off one regularly-priced parts, clothing, or accessory item! These discounts cannot be combined with other offers. Learn once and for all how to change a flat tire. A hands-on, rockin’ experience!